Pancakes are a great choice for breakfast, be it a busy week day or a lazy weekend. Everyone in my family eats it without complaints and even demand for more. 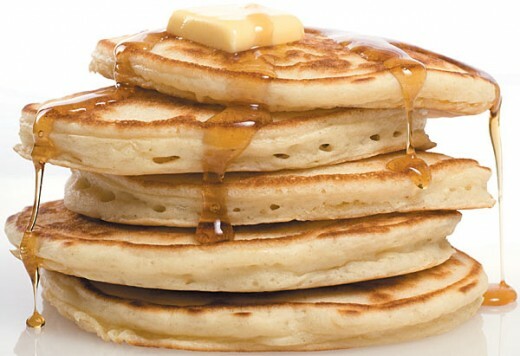 There are several types of pancakes I make at home like the Buttermilk Pancakes, Egg pancakes, Blueberry pancakes, Oatmeal Pancakes, Chocolate Chip Pancakes, Apple and Cinnamon Pancakes, Banana Pancakes, Mango Pancakes, Mix Vegetable Pancakes etc. 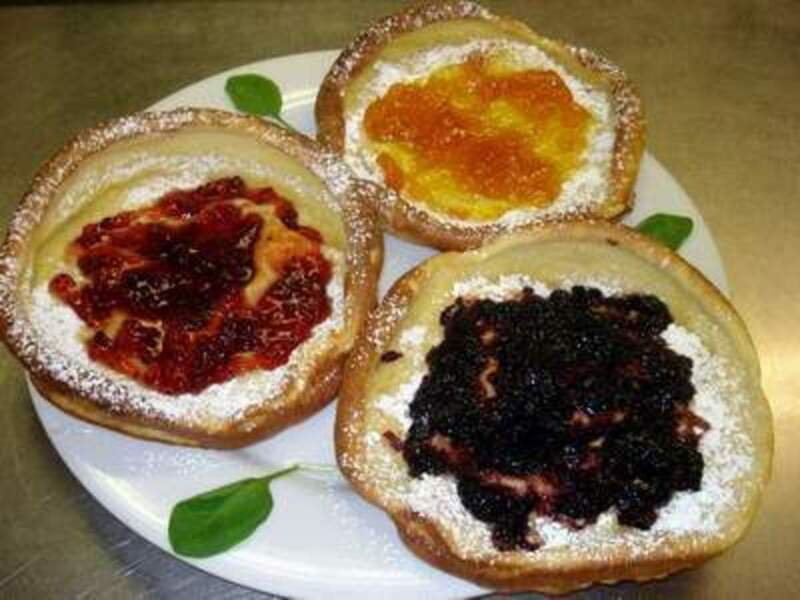 I am going to share 3 of my favorite pancakes here. Hope you would enjoy them. I normally make Mango Pancakes during the mango season. It takes a little bit of efforts but believe me it tastes great. Given below are the ingredients and method of preparation of mango pancakes. Mix all the ingredients for Pancakes except oil and make a smooth batter. Keep the batter aside. In another bowl whip the cream and add the mango pieces. Now heat a non stick pan and wipe little oil on it. Pour the batter spreading evenly and cook till golden brown on both sides. Now place a spoon of filling on the middle of the pancake and spread evenly. Fold the pancake into a neat semi circle. Remove to a serving plate and serve hot after sprinkling powdered sugar and cardomom over the pancake. Given below are the ingredients and method of preparation of Banana pancakes. Beat the egg whites for some time and then refrigerate it. Now mix Maida, egg yolks and milk in a bowl and beat well. 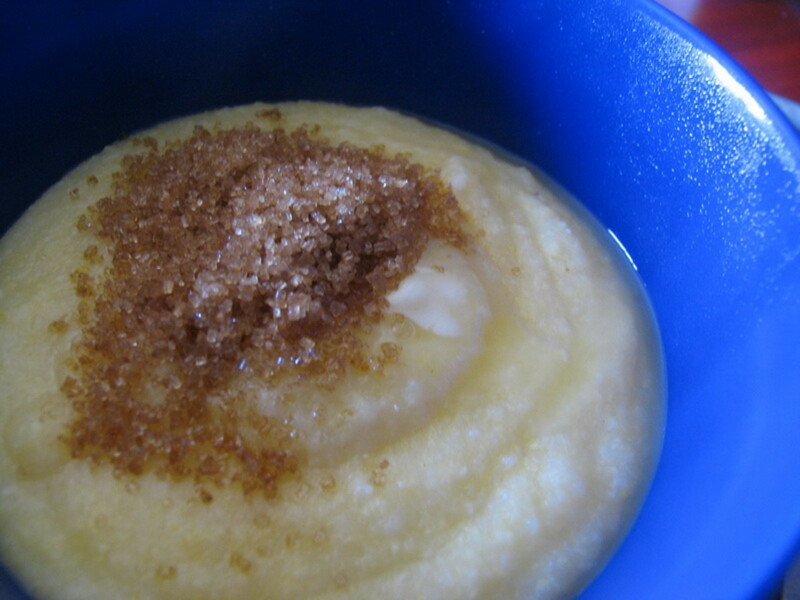 Add the banana puree, vanilla, salt, and cinnamon and mix thoroughly. Heat a nonstick pan and apply oil on it. Fold the egg white mixture into the pancake batter. Pour the batter on the nonstick pan spreading evenly and cook till golden brown on both sides. Once ready remove into plate and serve hot. Make all the pancakes in the similar manner till the batter is finished. Given below are the Ingredients and method of preparation of Mixed Vegetable Pancake. 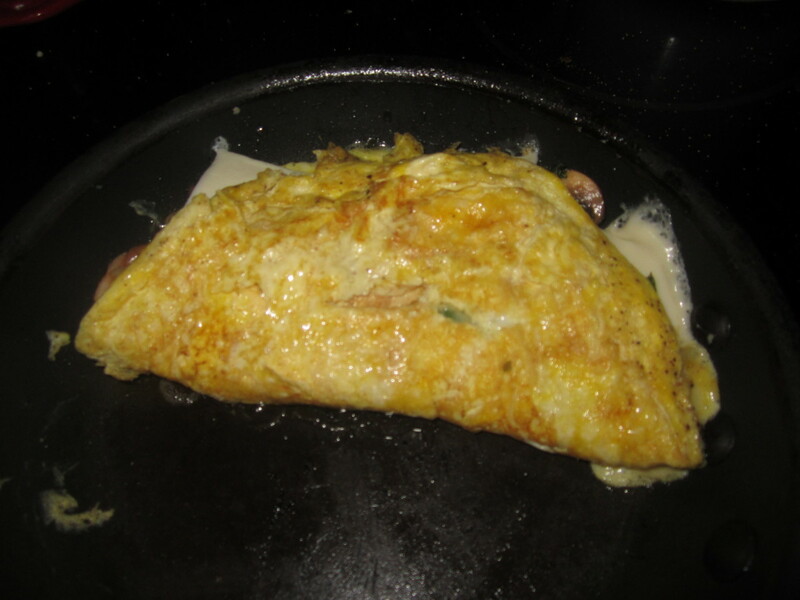 Add the egg and milk and mix thoroughly into a smooth batter. Keep the batter in the refrigerator for an hour. In the mean while prepare the filling by heating butter in a pan and add all the ingredients for filling. Cook in low flame till the vegetables are done. Remove from flame and add tomato sauce. Now place a non stick pan on the stove and apply little oil. Pour batter and cook till both the sides are light brown in color.Now place a spoon of the filling on the pancake and spread evenly. Fold the pancake into a neat semi circle. Remove the pancake into a plate and serve hot. This sounds incredible. Mango is my favorite fruit. indian cooking Hi. 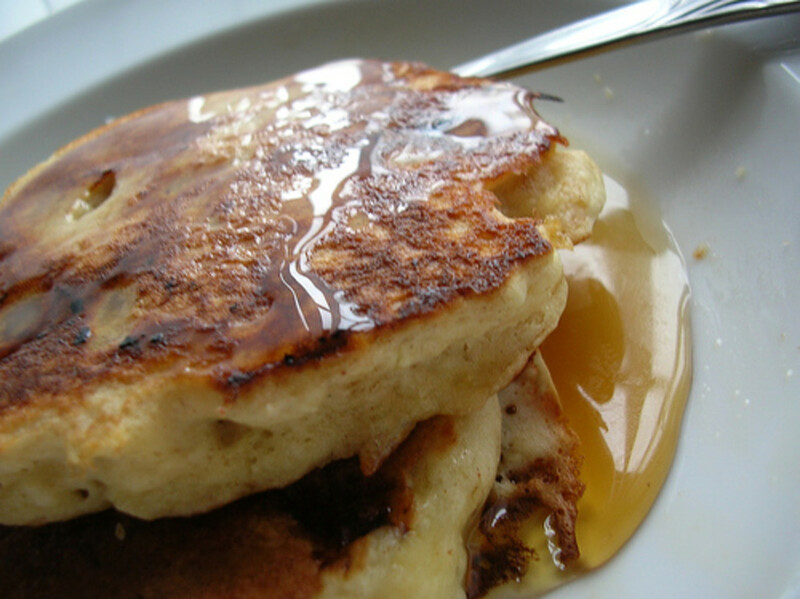 All your pancake recipe's look delicious and easy to make. Maida is a refined product of wheat. It is also known as all purpose flour and would be available in Indian shops for sure. Thanks for the visit! This looks tasty. But could you tell me what Maida is? I live in England and there are a couple of Indian shops nearby. Recently, I started cooking pancakes on the weekends. I never used to do so before. They are a nice treat. I'll try these variations you suggest. Thanks!